The Japanese word “zakka” can be translated to mean “variety of goods”. The craft scene has embraced the word and extended it’s meaning so that we think of it as craft items made with Japanese fabric or inspired by Japanese design. 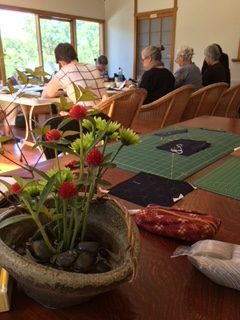 At Kimono House we are often asked if it is considered bad form in Japan to cut up kimono and reuse the fabric for making craft. The answer is absolutely not and you can see in this image it is actually very fashionable. 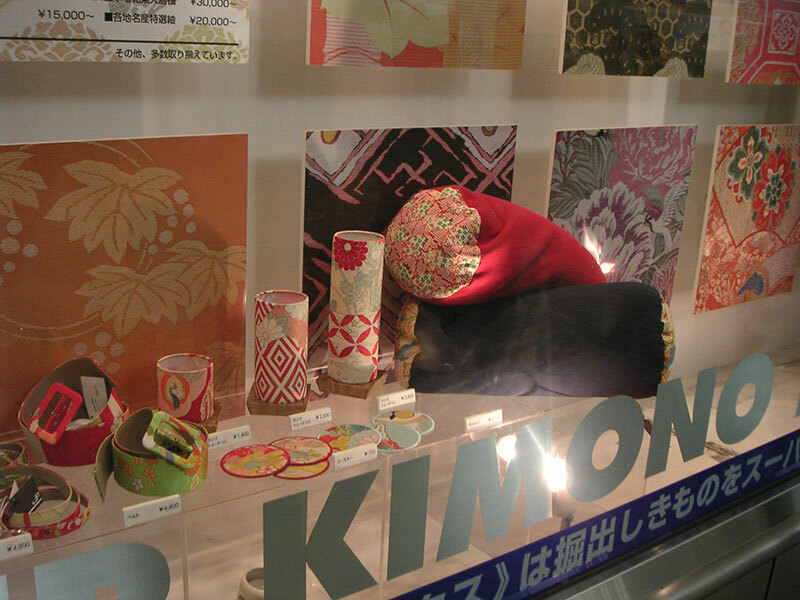 This photo was taken at Umeda subway station in Osaka promoting a shop selling goods made with kimono fabric such as lampshades, coasters, belts and cushions. 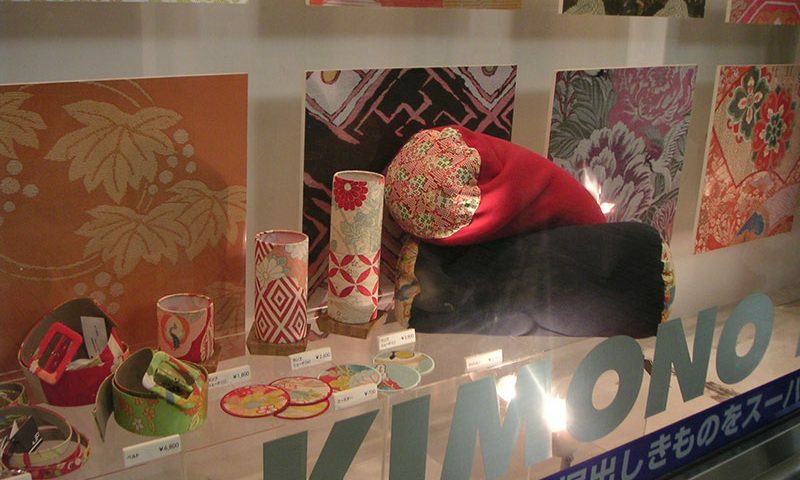 What will you make with your vintage kimono fabric?